A two Judge Bench asked the petitioner to place the application Chief Justice of India for posting the matter before an appropriate Bench. The Supreme Court has referred an intervening application by State of Kerala seeking clarification as to whether the judgment in Anvar PV vs PK Basheer is applicable retrospectively or not before an appropriate bench to be constituted by the Chief Justice of India. In Anvar PV case, the apex court had held that the petitioner had not produced any certificate in terms of Section 65B of the Evidence Act in respect of CDs, therefore, the same could not be admitted in evidence and, therefore, the secondary evidence pertaining to electronic record is inadmissible and thereby overruled an earlier two-judge bench decision of the court’s in the case of State (NCT of Delhi) vs Navjot Sandhu. 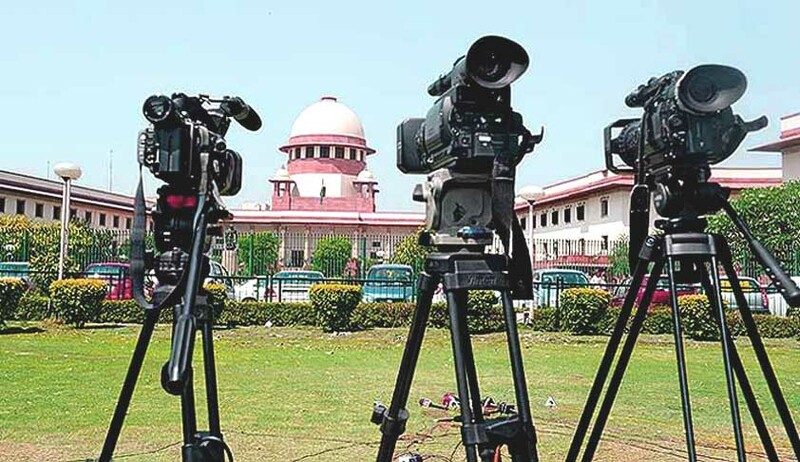 In Sonu alias Amar vs State of Haryana, a two-judge bench of the Supreme Court had discussed the effect of the three-judge bench judgment of the apex court in PV Anvar case, and observed that if the judgment in Anvar case is applied retrospectively, it would result in unscrambling past transactions and adversely affecting the administration of justice. In its application, the state submitted that a clarification as to whether the ratio laid down by the apex court in the case of Anwar PK vs Basheer is applicable retrospectively or not is essential for the interest of justice. “If it is applicable only to cases where the trail has been started after 18.09.2014, then there is no need for reopening the cases in which the trail was completed before the judgment in Anwar’s case. This is also essential for the proper disposal of the DSR No. 8/2009 and other Crl Appeals on the file of the High Court of Kerala. Hence the State of Kerala is filing this Application for clarification/direction,” it submitted.